What factors have caused this magnetic match? #1 – It tastes amazing. Even plain cheese pizza is heavenly, and it just gets better from there. Pepperoni. Supreme. Meat Lovers. Oh, sweet Jesus! 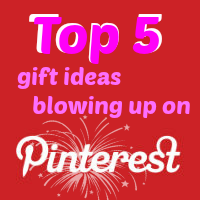 #2 – It’s dirt cheap and sometimes free. I remember getting so much free pizza in college because most student organizations used it to lure people to their meetings. #3 – It’s the ultimate convenience food. No plates or utensils necessary. Napkins optional. #4 – It can be delivered. Just think of all the times pizza deliveries have saved college students from starvation when they’re either too drunk, too lazy, or don’t have a car to get food. #5 – It even tastes good cold. Pizza for breakfast, anyone? 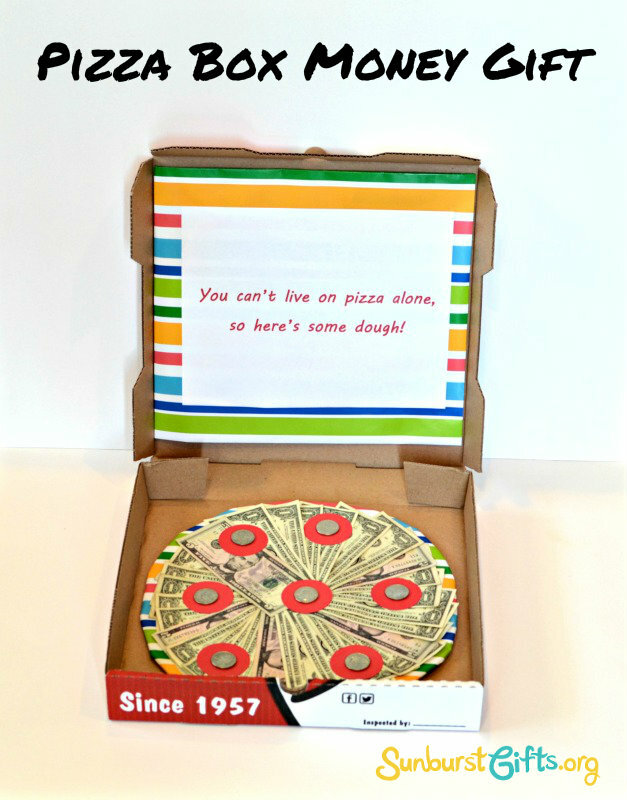 But no matter how much college students love their warm, gooey pizza, they can’t survive without cold, hard cash. 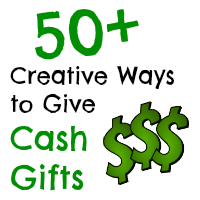 Money is by far the #1 request for gifts by graduates so give it to them. College is expensive! Ditch the envelope though, and get creative. 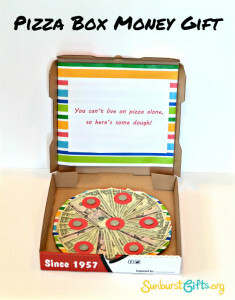 Give them a “Here’s some dough!” Pizza Box Money Gift for a present they’ll never forget! 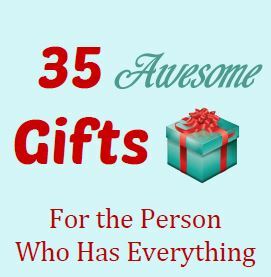 It’s easy peasy to put together with a few simple items, and it creates that “WOW!” factor! Want a new thoughtful twist in sending flowers? 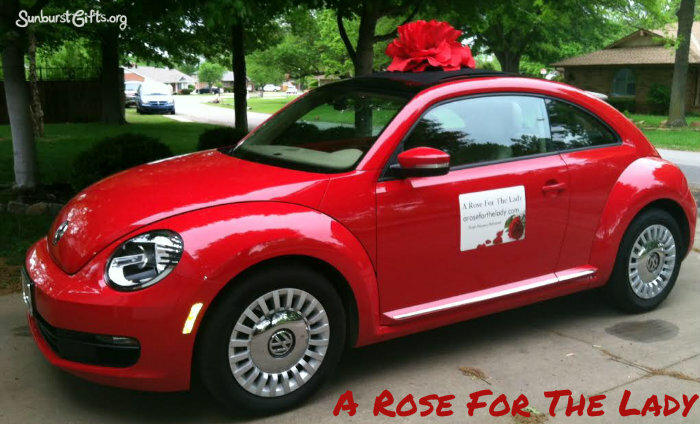 On Mother’s Day, birthdays, anniversaries or really any occasion, send a rose on the day of celebration along with a blessing. Then send a single rose with another blessing to replenish the vase every week for a month. WOW! 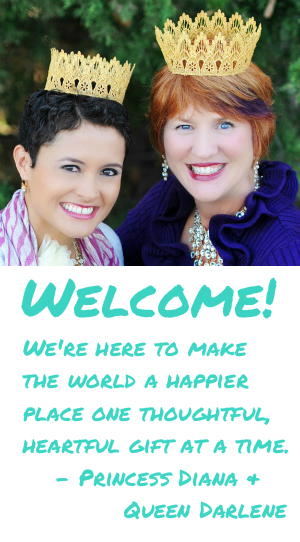 You’re sending happiness and inspiration for four weeks in a row!